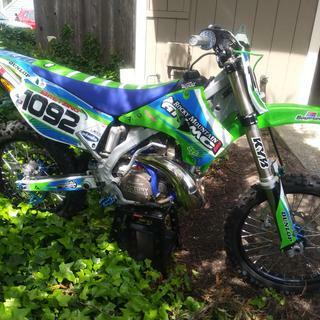 Bought this graphic kit for my 04 kx 250. Its been a long build but worth it. This graphic kit gave the look and style i wanted for my bike. Kit came with everything I needed to do the job. Fitment was good. I've never put on graphics before and i struggled a little on the exhaust side number plate. I'm sure next time will be much easier. I would highly recommend this graphic kit. 2014 ktm 350 sxf graphics kit. Easiest graphics I've done. Great price too! These graphics are great. They were lining up amazing and needed very little heat to be applied perfectly. I used a wet method for install. I have had fitment issues with more well known graphics. The adhesive on the back is very tacky and I think they will last a season. They transformed the look of my bike and are very affordable. I highly recommend these!! I will 100% be purchasing more attack graphics in the future. Never had any issues with attack graphics. This time there was issues with the rear swing arm graphics. Other than that they are five star. 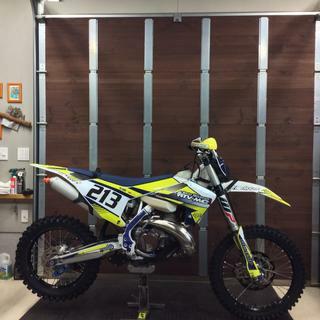 I bought these graphics for my 05 yz 250 and they look amazing. Way worth it. They make your bike look factory. the graphics look great! Really happy with how they came out! Will definitely purchase another set when I get my next bike! First off the people over here at Rocky Mountain are awesome. 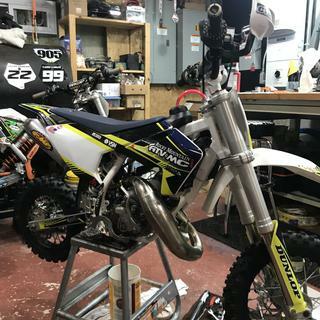 I needed a few changes done to the graphics because I have updated my plastic on my 02 Cr250 and they worked with me and got me what I needed, so great job by them. The graphics look awesome! The material is made very well and is very durable. 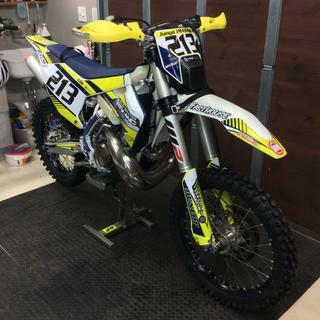 I am very happy with the way my bike turned out with these graphics, gave the old smoker just what it needed! Ill be adding a couple pictures also. When it heated up couple of seconds,it spread and very easy to stick. I will buy another graphics again! 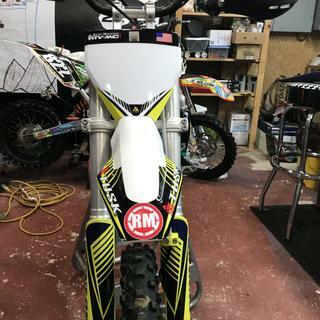 Can I just buy the rear fender decal for a 2011 wr450? BEST ANSWER: Unfortunately, we do not sell just the rear fender. 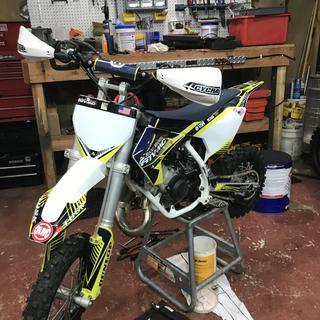 However, we do sell the trim kit which only includes the lower fork guard decals, front fender decal, rear fender decal, shroud decals and swing arm decals. 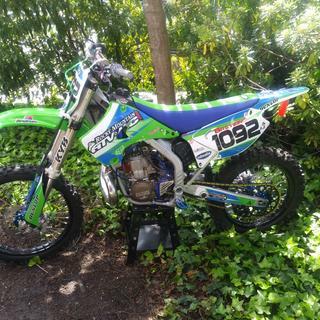 I have a 2002 Cr250r but my front fender and front plate are cycra 2016 crf450 plastics, if I were to order this product could i get the 2016 crf450 front fender and front plate decals? BEST ANSWER: Yes, we will be able to do this. If you decide to place the order online, please call us as soon as you place the order online and have the customer service rep note this on your order. Or if you would prefer you can call in and place the order over the phone and the customer service rep can note this on your order and then email Attack graphics with the changes.